preferred. 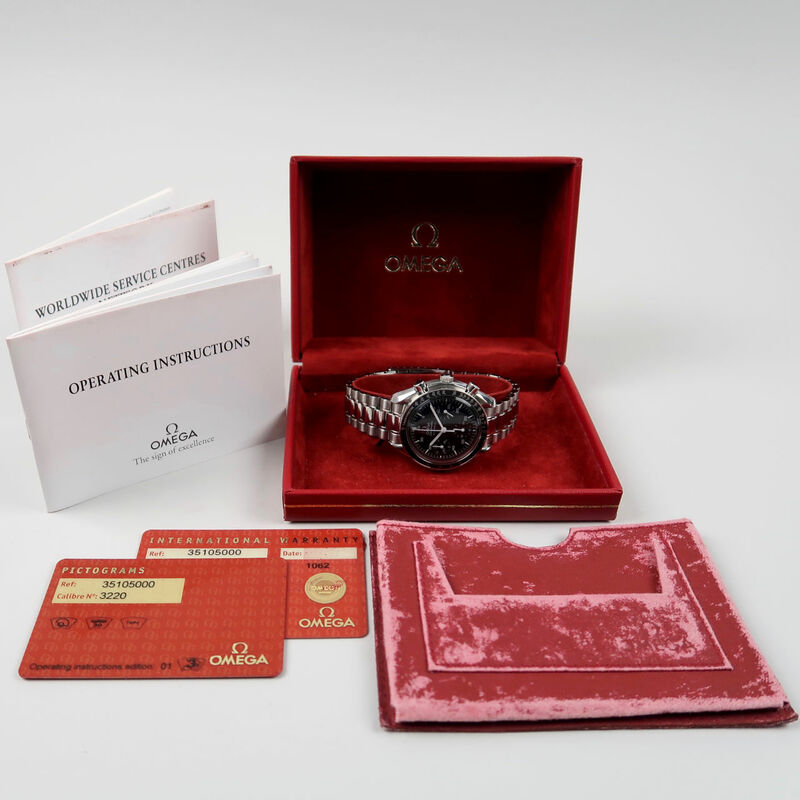 This Speedmaster is accompanied by its leather Omega wallet containing the original guarantee card, pictorgram card and instructions and there is also a red Omega presentation case. 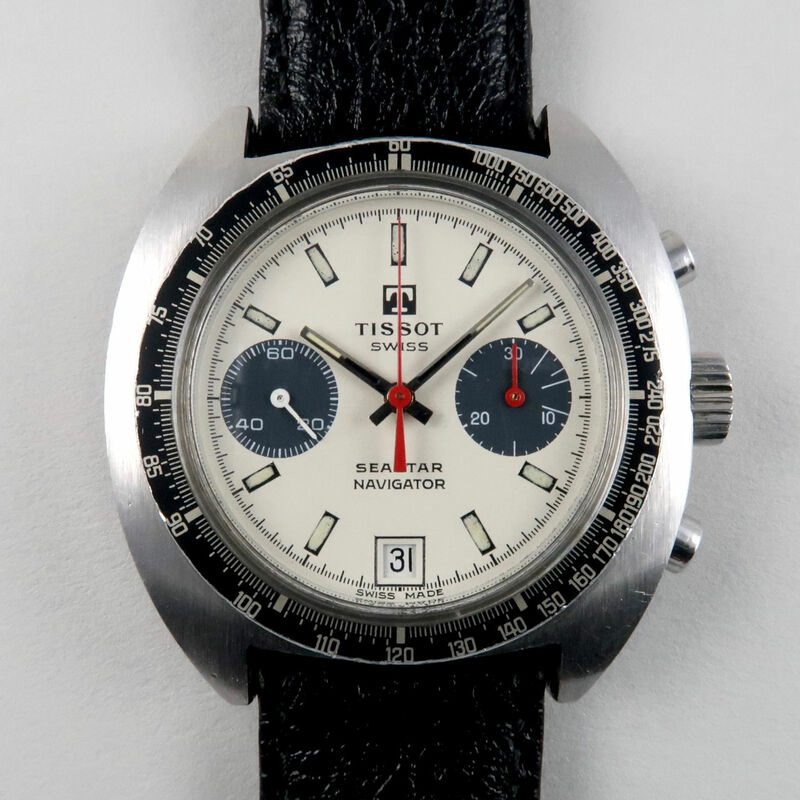 A sporty chronograph from the first half of the 1970s, this Tissot chronograph has a great looking so-called Panda dial with cream coloured ground and contrasting slate grey subsidiary dials. 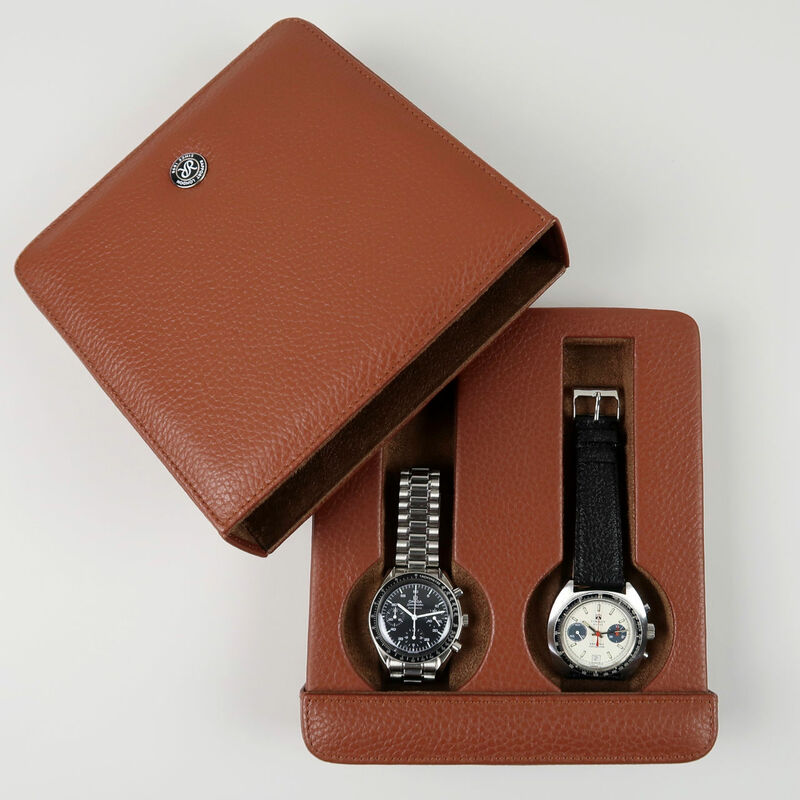 The case is large for a vintage wristwatch with a width of 40mm and there is a substantial screw-down case back. This watch is accompanied by a Tissot presentation case and instruction booklet. 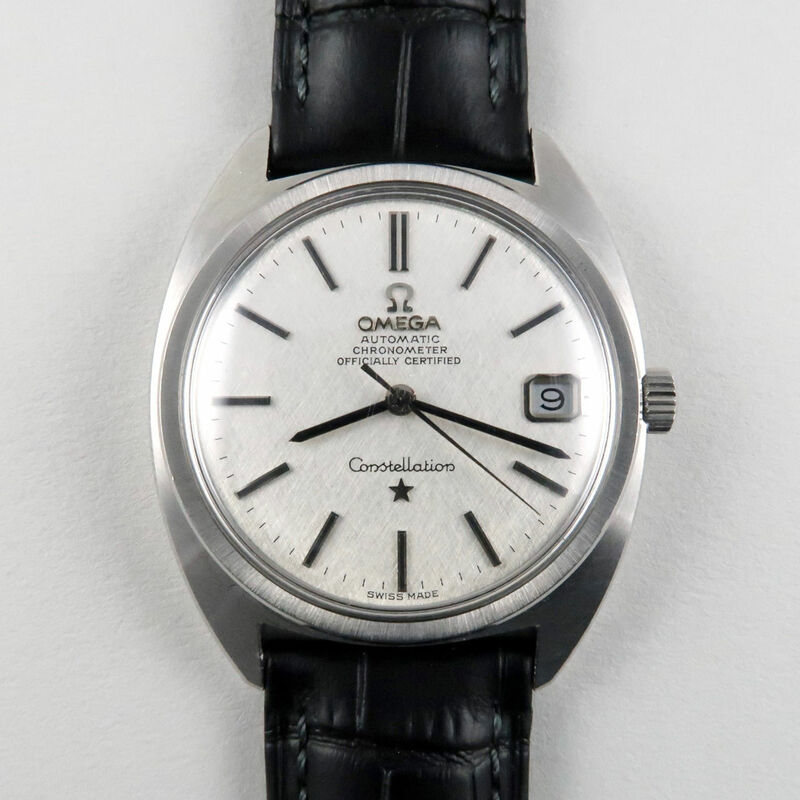 In 1964 Omega launched their first Constellation with the so-called “C” case which earned its name from the case’s resemblance to two Cs. The “C” case was a departure from the more traditionally shaped Constellations of the 1950s and this model, the Ref. 168.017, continued this trend with its relatively slim case and combinations of satin and polished finishes. A very handsome example of the model, this watch has a finely cross-hatched textured dial that is in excellent condition. The case has not been re-polished during servicing and retains very good definition to its angles and edges with some light scuffs. 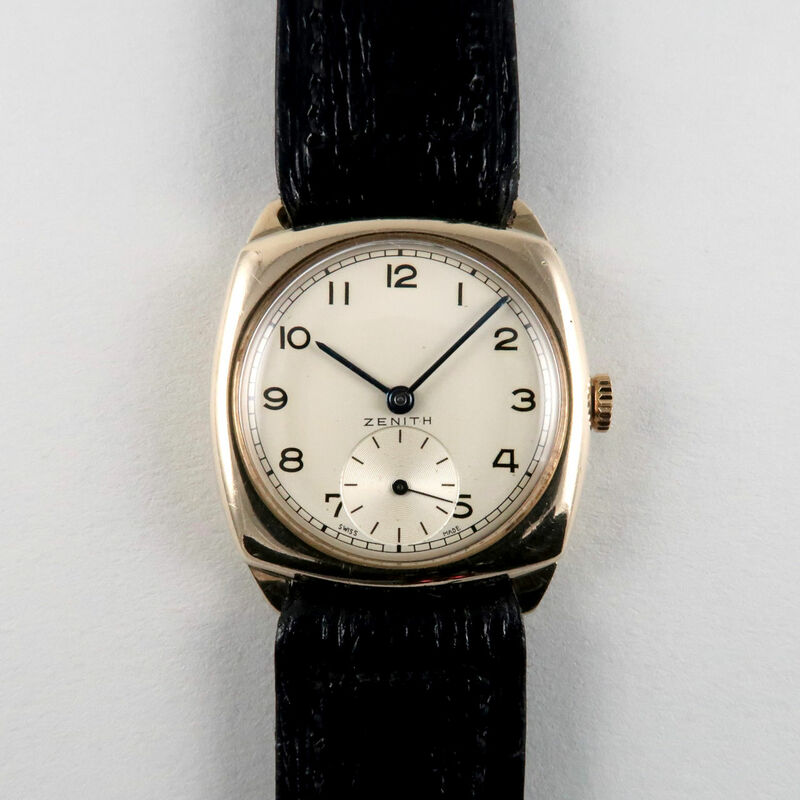 A good example of the ladies’ version of the Constellation ‘C’, this smart wristwatch is almost identical in design to the men’s version shown above. However, the dial on this example has a satin finished dial with a plain chamfered outer edge. The screw-down case back is centred with the embossed Constellation logo. This triple calendar wristwatch has a two-tone dial with a broad matt finished chapter ring that carries the Arabic and disc hour indexes. The calendar is displayed with central apertures for days of the week and months and, to the edge of the dial, the date is displayed with blue numerals, indicated via a central red-tipped hand. 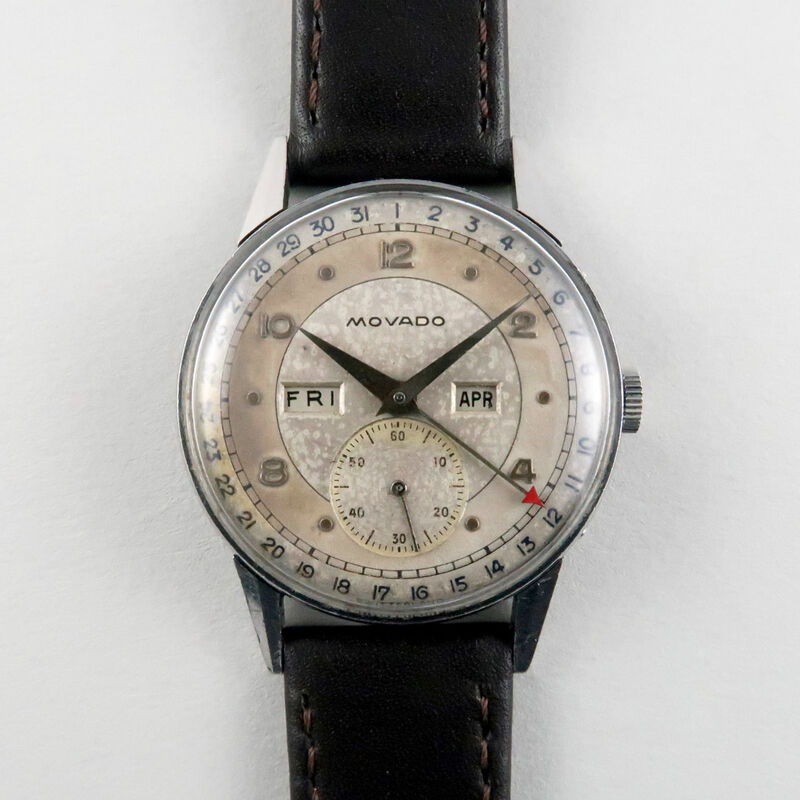 Introduced in 1938, the Calendograf with calibre 475 was one of Movado’s most significant vintage models and examples were exhibited at the 1940 World’s Fair in New York as well as at the Basel Watch Fairs throughout the 1940s. Production of calibre 475 ceased in 1954. Cushion shaped models were amongst the first styles to appear as the wristwatch became more widely available during the second half of the 1910s and into the 1920s. This mid-century wristwatch has a silvered dial which retains an excellent lustre and the blued steel hands contrast with the black Arabic numerals. The case is made from 9ct yellow gold. Measuring 36mm in diameter this watch’s steel case has a satin finished body and the contrasting polished chamfered bezel is slightly recessed below the tops of the substantial down-turned lugs. Ref. 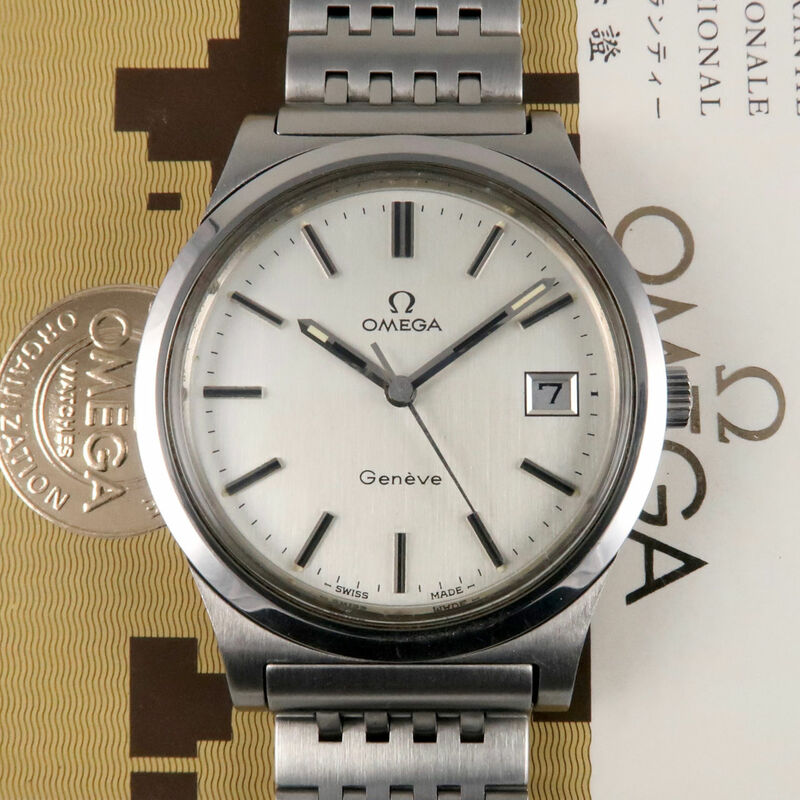 136.0102 was available either with a leather strap or steel bracelet and the present example retains its original, detachable, model 1193 Omega bracelet. This stylish bracelet has flexible yet relatively thick ‘hinge’ links which are satin finished to compliment the style of the case. The calibre 1030 Omega movement incorporates both a hack feature and quick date change facility. 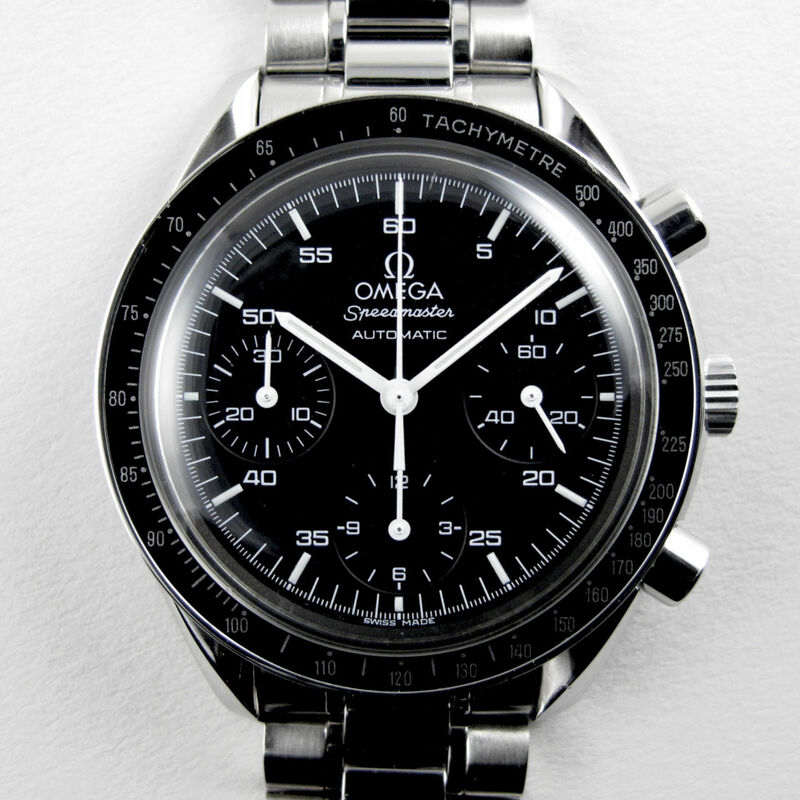 Accompanied by the original Omega presentation case and guarantee booklet. 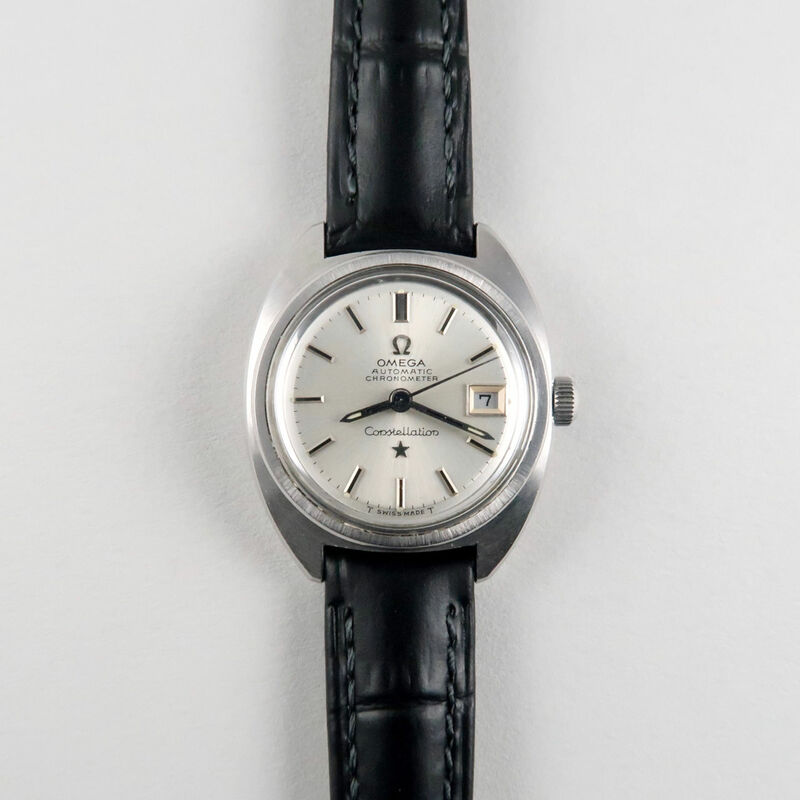 The silvered dial of this Seamaster 30 wristwatch is in good original condition with raised baton indexes. Cased in stainless steel, the model has a polished chamfered bezel and faceted lugs. 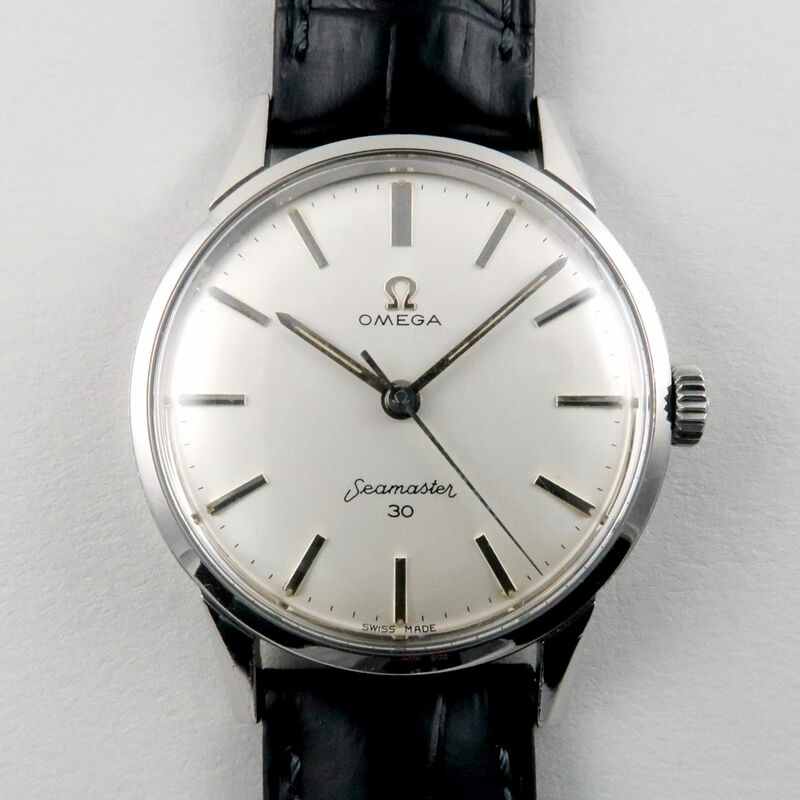 The ’30’ refers to the watch’s movement which is from Omega’s ’30 series’ calibres – these movements had a diameter of 30mm and were known to be both accurate and highly reliable. By co-incidence, the Seamaster 30 was also water-resistant to 30 metres which has led to much confusion over the derivation of the name. …they’re also available in a tan leather version. 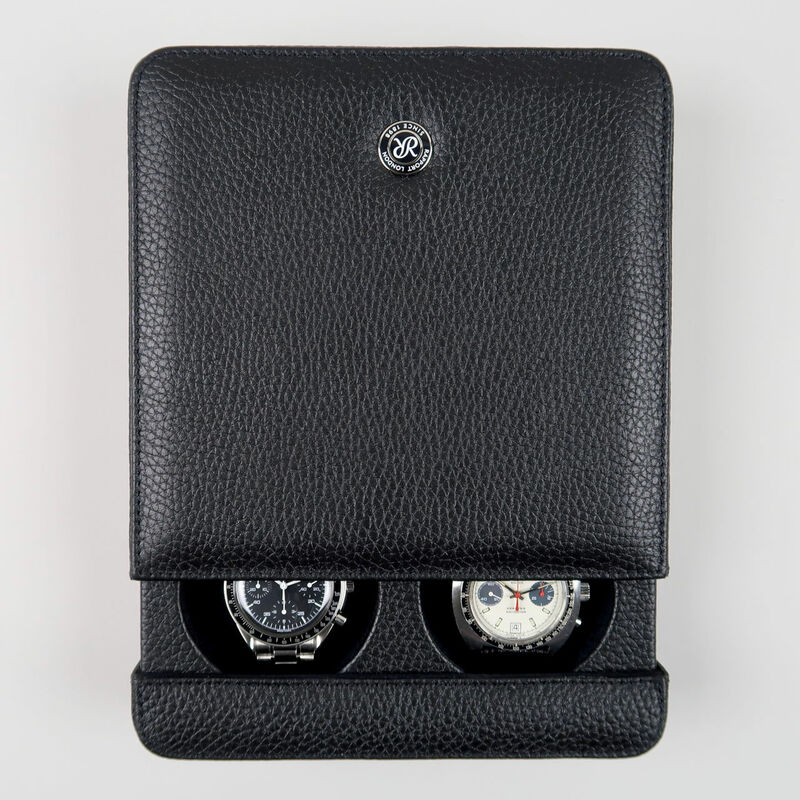 We’re also now stocking these new zipped watch cases which are made using premium leather with finely stitched seams. The soft padded exterior has a matt finish with brass zip closure. 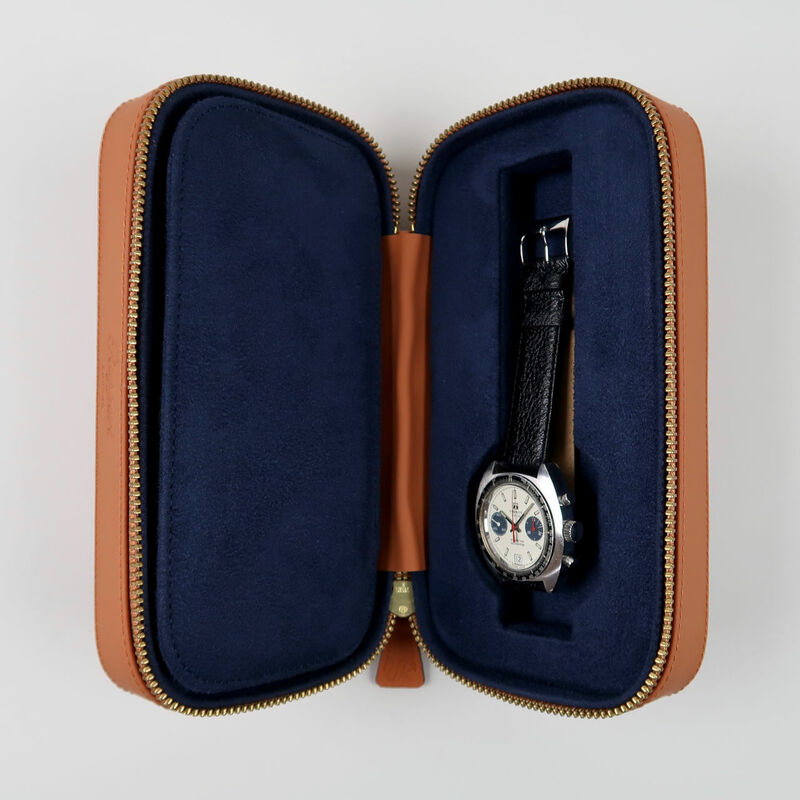 Inside the case is padded and lined with suede with a recess for one wristwatch to each side. The watches are separated from one another by a rigid suede divider. All these cases are made by Rapport of London who have been producing horological products since the company was founded in 1898. You can sign up to receive these updates via email HERE or by selecting the ‘Join Our Mailing List’ tab at the bottom of any of our web pages.